These days, it seems like every new smartphone is packed with "must-see" new features, often with clever names, meant to set it apart from all the other devices on the market. Those features frequently prove to be less than useful over time. The brand new HTC One (M8) is no different. That's not to say the device isn't a great smartphone. It is. But some of the features HTC is vaunting really aren't what make the HTC One (M8) a top-notch Android smartphone -- and some are downright useless. Here's a list of some notable HTC One (M8) features you'll actually appreciate, along with some more that you just might hate. The best thing about the HTC One (M8) is its sleek, modern design and impressive build quality. HTC makes nice hardware, and the HTC One (M8) is a perfect example. The device's all-metal "unibody" is slim at just 9.35mm thick, and its 5-inch display is big enough, but not too big, like some other popular smartphones. (I'm looking at you, Samsung.) The display does not extend all the way to the device's four corners; two plastic panels on its front sit atop and at the bottom of the display, and they help cushion the screen from impact when dropped. HTC's design is not only sleek, it's simple. You'll find only two buttons on the device -- one for volume controls and another to power on or shut down the HTC One (M8) -- and there are only two ports, a micro USB port and a standard headset jack. Two "Boomsound" stereo speaker sit at the top and bottom of the display, and they "combine with dedicated amplifiers to deliver clear, balanced, powerful sound," according to HTC. The rear panel of the device is metal, and small raised ridges around the camera lenses protect them from scratches when the handset is placed face up on a desk or other surface. It's difficult to test durability without using a device for an extended period of time -- or purposely trying to damage it -- but the HTC One (M8) feels sturdy and built to last. HTC also packed a large 2600mAh Li-polymer battery into the device's small body. This should provide impressive battery life of up to 20 hours talk time on 3G, according to the company. The HTC Advantage program is basically a free, six-month display protection plan, combined with a live-chat help desk service and a guarantee that HTC will deliver Android software updates for at least two years after a handset's release, to keep the device as current as possible. As noted above, the HTC One (M8)'s display does not extend all the way to the device's edges, which helps reduce the chance of a shattered screen when dropped. Even if you do crack your display, HTC will fix it free of charge, within the first six months of your purchase. A significant challenge for Android device makers is testing, approving and finally rolling out Google's software updates across their various device lineups. As part of the HTC Advantage, the company acknowledges the issue and tells its customers it will do its best to get the latest version of Android to the HTC One (M8) as quickly as it can for two years after a new device is released. The company also posted an information page on its website detailing the Android software update approval process, which provides some insight into why it can take so long for device makers and carriers to roll out new software. If it were up to me, taking "selfies" would be a capital offense...or at least frowned upon. I am no fan of the selfie. But I know I'm in the minority, and selfies are only getting more and more popular with each celebrity selfie -- even if mobile phone makers sponsor them. 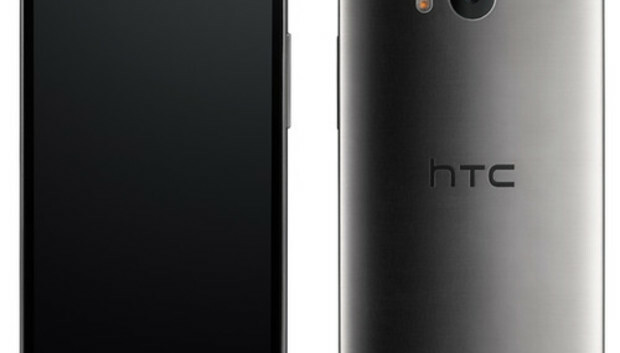 The HTC One's 5MP shooter is one of the highest-resolution front-facing cameras, a.k.a. "selfie cams," on any smartphone. It even has a dedicated "Selfie" camera mode that automatically enables the front-facing lens and incorporates and onscreen timer, among other things. The HTC One (M8) is, for better or for worse, a selfie machine. The device has a unique camera featured called "uFocus," which lets you add a blur effect to photos after you take them, to create specific focal points, or points of clarity, in your images. You can also supposedly bring blurred objects into focus after the fact, but I had less success with that feature. The blurring is called the "bokeh effect," according to HTC, and it's a valuable to feature -- though Instagram also has a similar blur/focus tool. Finally, I appreciate the HTC One (M8)'s simple camera menu and options. A number of high-end Android phones have excessive, sometimes intimidating, camera menus and modes. It's nice to see HTC offer a clean, streamlined camera app. I really appreciate how simple HTC makes it to unlock the bootloaders on its devices, including the new HTC One (M8). The device was released in the United States just weeks ago, and it's already listed on HTC's unlock bootloader page. If you don't like to tinker with your Android device or install different ROMs, this might not mean much to you. Developers and others who want full control over their devices will find a friend in HTC's online bootloader-unlock tool, though. You can unlock the bootloaders on most, if not all, Android devices, but it's not always easy -- and it's rare that an "official" unlock method is available. 1) "Duo Camera" is "Diso-pointing"
The single most unfortunate thing about the HTC One (M8) is its camera. It doesn't take long at all to realize that, while the camera works fairly well in dimly-lit environments and has a bunch of bells and whistles, the quality of photos captured in bright light or outside in the sun leaves a lot to be desired. Specifically, the color balance of photos taken in bright surroundings is poor and washed out. Compared to other high-end smartphone cameras, the HTC One (M8) digital shooter doesn't stack up. That's a shame -- the camera is one of the most important features for many smartphone owners today. While the camera app offers a number of cool editing features and modes, and is well designed, the quality of the camera itself really reduces its overall value. Remember those "must-see" smartphone features that prove to be less than useful over time? Yeah, that pretty much sums up the bulk of HTC Sense, which is packed with gestures and other features that sound a lot cooler than they really are. Of course, you can disable or hide most of the intrusive HTC Sense features, such as HTC's BlinkFeed, which aims to deliver a variety of relevant content on a home screen panel but really just overloads you with information when you might not want or need it. As mentioned previously, I really like the HTC One (M8) hardware and design. I do have a relatively minor complaint, though. I appreciate how HTC included memory card support in the One (M8). The device supports microSD cards up to 128GB. However, you need to use a tiny HTC tool that comes with the phone to pop the slot out, which is not ideal. The tool is shaped like a micro SIM car with a tiny metal pin protruding from its base. It's both awkward and very easy to misplace. You can also use a small paper clip or a tiny safety pin to pop out the memory card, but if you're on the road traveling or just don't happen to have the tool or a similar pin, you're out of luck. One of the accessories HTC plays up in its advertising for the One M8 is the Dot View Case, a rubbery-plastic folding case that snaps onto the back of your One (M8) and then flips closed over the display. The case component that covers the screen is covered with tiny holes; when you close it, the screen lights up and displays the time, weather information and other notifications. You can also answer phone calls or silence rings without opening your device. The problem...or problems: It's cheap feeling and flimsy, which takes away from the high-quality of the device itself; it's poorly designed, because the case flaps closed whenever you don't fold it over or hold it open, which is very awkward, and notifications are barely visible through the case in bright conditions. The case is unique, and it certainly grabs your attention the first time you see it. But many phones show notifications and other information on their lock screens anyway, so it doesn't really enable any unique features. It's also not cheap at $45 or more, especially because it is made of thin plastic. I definitely would not recommend the HTC One (M8) Dot View Case. I "love" a lot more about the HTC One (M8) than I don't, and I feel comfortable in saying it is one of the best Android devices, and overall smartphones, available today. However, no phone is perfect, and the pros and cons mentioned above should help you make an informed decision if you're considering picking up an HTC One (M8) of your own.